This 560 S.F. 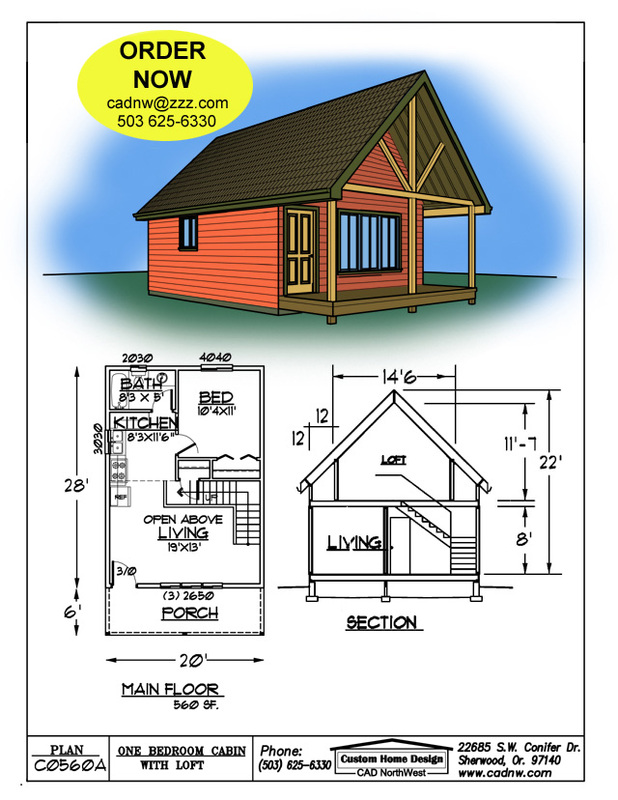 20' by 28' Cabin with loft is compact but has all you need and more. Similar to our C0480A Cabin Plan.